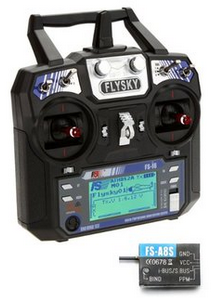 FrSky receivers are very popular in drone control. If you leave in EU community its a must that your RTX is compliant to the LBT (listen before transmit) specification. ATTENTION because on BangGood up to now (December 2018) are not present the FrSky that are compliant with the LBT specification. Of course it’s is only a release of the SW mounted on the RTX so it’s possible change it but is not easy. SBUS – is a bus that transfer the command to the actuator/sensor using a fast simple bus.